MOSCOW (AP) — The Taliban and Moscow had a good laugh together while discussing Washington’s claims that Russia has been arming the extremist movement, Russia’s envoy for Afghanistan said Thursday. 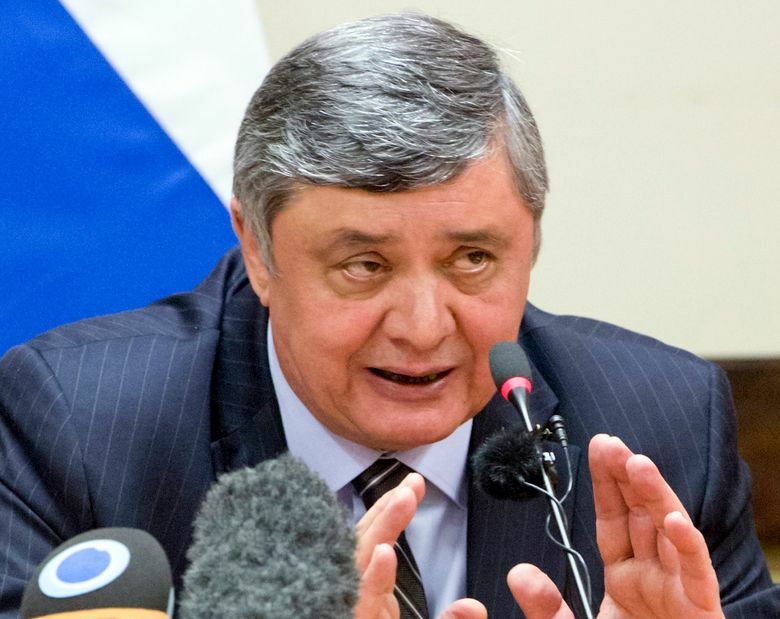 Kabulov said at a briefing in Moscow that Russia’s contacts with the Taliban aim to ensure the safety of Russian citizens in Afghanistan and encourage the Taliban to join peace talks. As the dialogue went on, Kabulov added, Russia talked about the need to end the war through political means. He emphasized that it’s impossible to achieve peace without engaging the Taliban, voicing hope they could join a new round of negotiations hosted by Russia. “It’s the only way to end the war in Afghanistan,” Kabulov said. He noted that some in the Taliban leadership may favor talks, but so far they have remained in minority. He noted that a conference on Afghanistan hosted by the ex-Soviet nation of Uzbekistan this week marked some progress, with its final declaration expressing support for the Afghan government’s offer of direct talks with the Taliban. Afghan President Ashraf Ghani, who attended the conference in the Uzbek capital, Tashkent, has indicated the Taliban could become a political party. Kabulov also emphasized the key role Pakistan and Iran play in the Afghan peace efforts and warned the U.S. against trying to sideline Islamabad. 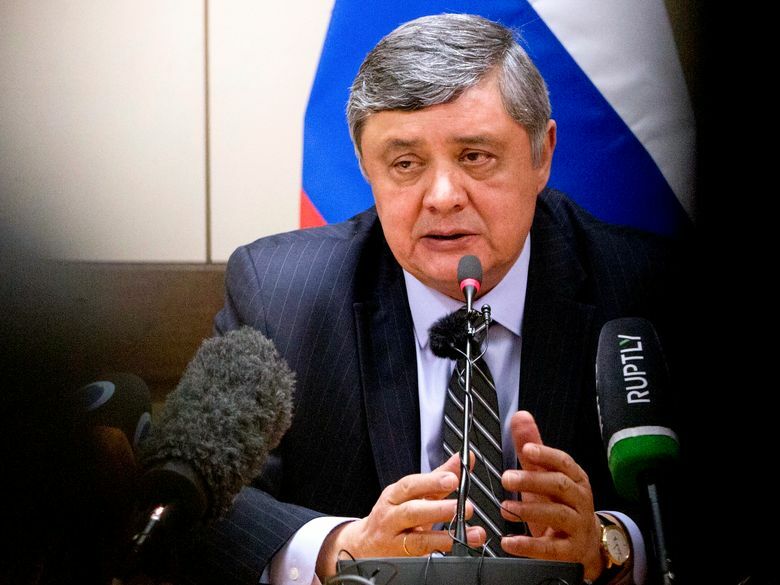 Kabulov said the U.S. claims that Russia was arming the Taliban reflected an attempt to shift blame for what he described as the U.S. failure in Afghanistan. Russian President Vladimir Putin supported Washington’s action in Afghanistan following the terror attacks on Sept. 11, 2001 and welcomed the deployment of the U.S. military to ex-Soviet Central Asian nations to support the Afghan operations. But as Russia-West relations grew increasingly strained in the following years, Moscow became increasingly critical of the U.S. role in Afghanistan. Kabulov also criticized the U.S. for pressuring Afghanistan to replace the Russian-made Mi-17 helicopters with U.S. Blackhawks, saying that it would further weaken the Afghan military, which will have to spend years to re-train its personnel. “The Taliban won’t just sit and wait for four years until they train the pilots,” he said. Kabulov also mentioned Russian concerns that unmarked Mi-17 helicopters were carrying Islamic State militants and their weapons to northern Afghanistan closer to the ex-Soviet borders. “Instead of a reasonable answer, we heard the claims that it was us who were helping the Taliban,” he said. Russia sees the presence of IS in Afghanistan as a growing threat, Kabulov said. “If we do nothing about it, it will become a major force,” he said.